There aren´t many countries in the world which would leave me with an urgent need to come back. Chile, however, is certainly one of those. If you plan to go there, you should know a couple of things beforehand: Officially, marihuana, Uber taxis, riding an electric eco scooter in two people, drinking in public areas (such as parks, gardens and streets) and many other things are illegal! Yet, people still do them and use them… Just be careful when you do. One of the safest and most developed countries in South America, Chile combines everything you could possibly ask for: amazing nature of the Andes and lakes with clear ocean waters, Western architecture of skyscrapers and up-to-date office buildings with quaint historical houses, great food, delicious wine, strong energy of the indigenous Mapuche people and good vibes of surfers from all over the world. Visiting Santiago, the capital and largest city of Chile as well as one of the largest cities in the Americas, you not only get a chance to admire the city as such – which is entirely located in the country’s central valley and is thus surrounded by the stunning Andes, but can easily access other impressive places, such as the colourful and romantic town of Valparaiso (about an hour and a half away by bus), the beautiful countryside of Caijón del Maipo (about two hours away), and some of Chile´s most beautiful beaches on the Pacific Ocean. Not to mention the well-priced flights to Easter Island (about five hours). The city outskirts are surrounded by vineyards so a trip to a winery is a must. Even though Tarapaca might be internationally famous, Carménère is the emblematic wine of Chile, much like Malbec is to Argentina. 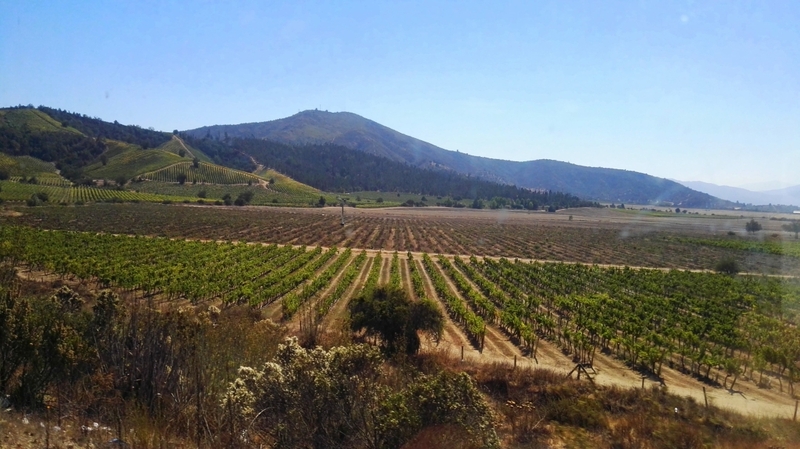 The Carménère vines were imported into Chile from Bordeaux in France. 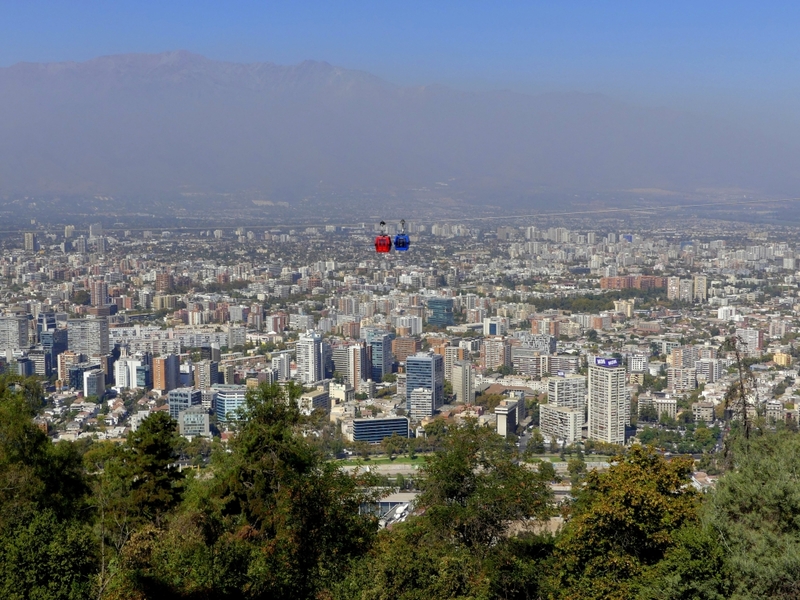 Santiago has a downtown core of 19th-century neoclassical architecture and winding side-streets, dotted by art deco, neo-gothic, and other styles. 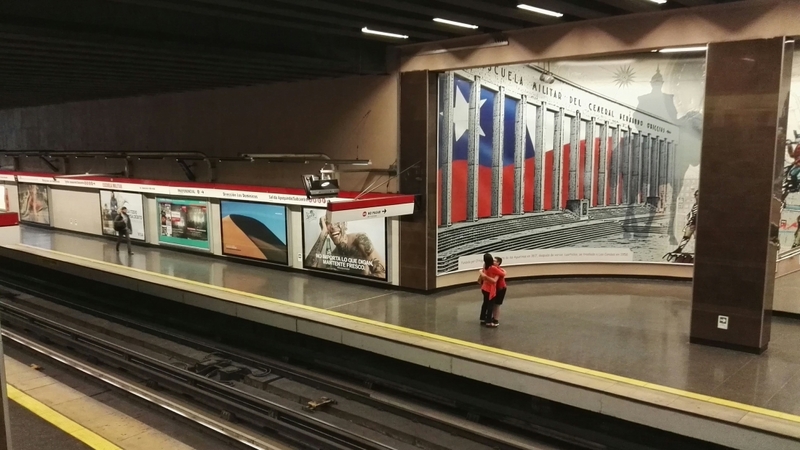 Though Santiago is the cultural, political and financial centre of Chile, the Congress meets mostly in nearby Valparaíso. There are quarters in Santiago which will give you the impression of being in Miami, as with the start of the transition to democracy in 1990, high-income families moved into the foothills, now called Barrio Alto, increasing the population of Las Condes (Northwest) and giving rise to new communes like Vitacura and Lo Barnechea. 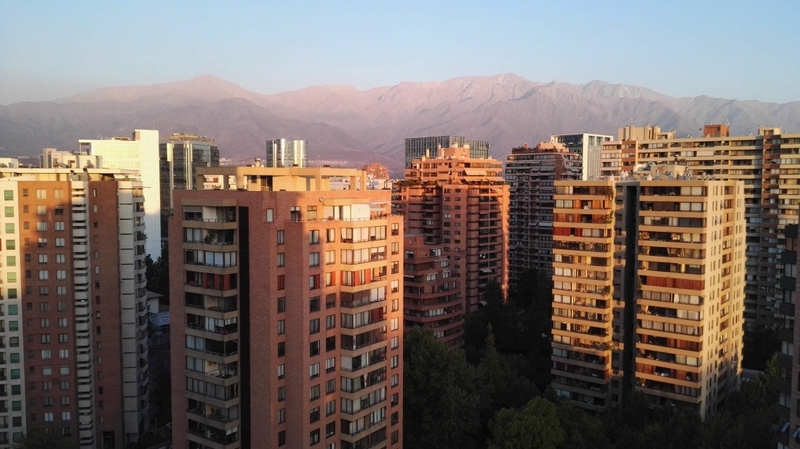 I was staying in Las Condes (near the “Escola Militaire” metro station) during my time in Santiago so I could enjoy the sun and the moon coming out over the Andes, looking from the balcony of the 17th floor apartment in a skyscraper high-tech building. You definitely need to come to see this quarter and if you come with a local, you might use their app to borrow bikes and electric scooters to go around exploring. 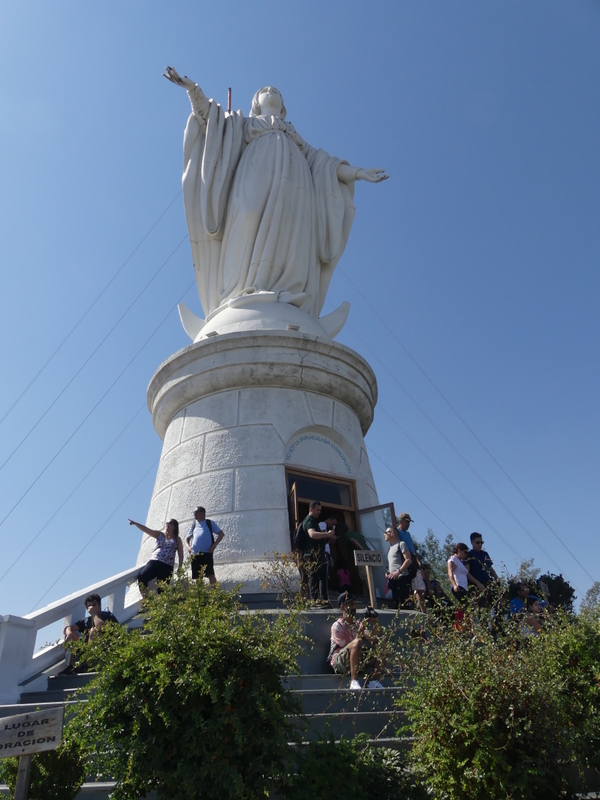 One of the renowned lookouts of the city is also a must: I would recommend the hill of Santa Lucia and San Cristobal hill (with the statue of the Virgin Mary and a chapel right beneath it atop the hill) which is one of the main symbols of the city and where you can either hike up (about 6 km for the most common trail) or get a funicular to go atop. 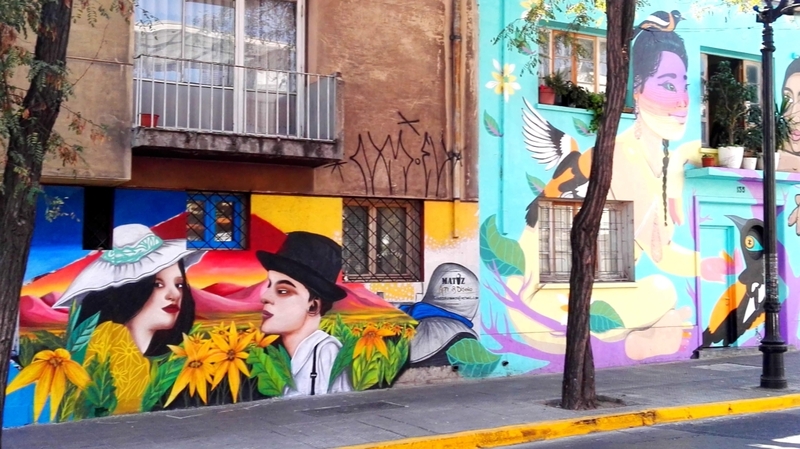 San Cristobal is located in the vicinity of a cool, artsy neighbourhood called Bella Vista. 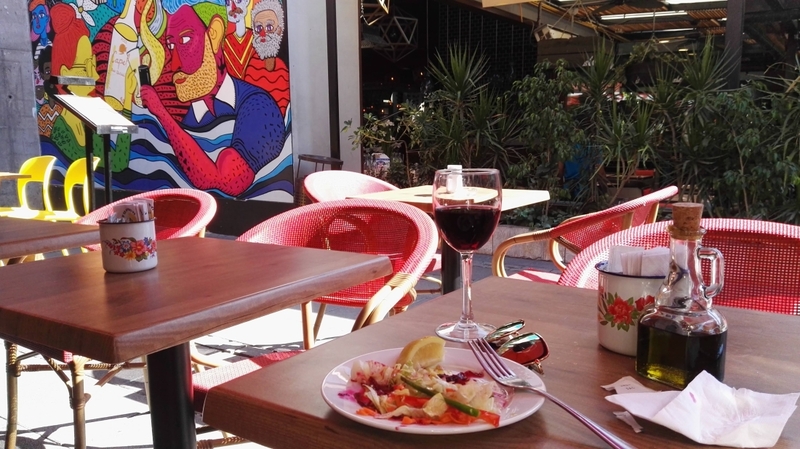 If you are keen on street art and colourful cafés you definitely need to take a stroll here. 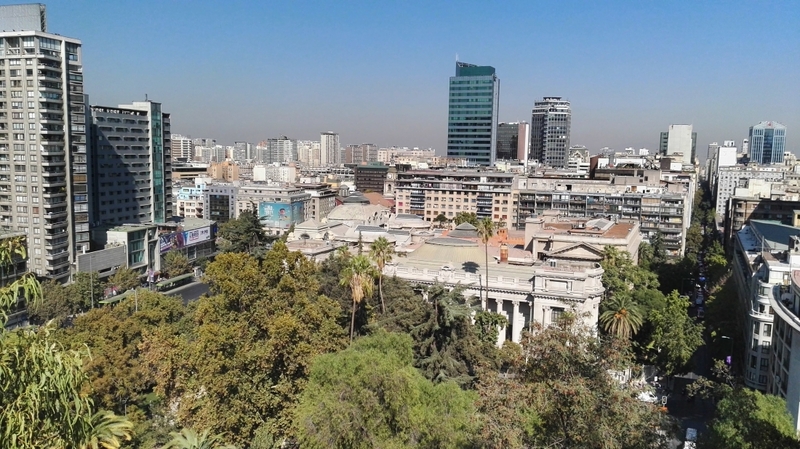 If you like history and historical buildings, make your way downtown where you might admire the façade of the Santiago Stock Exchange, the colonial architecture of Metropolitan cathedral as well as the Gran Torre Santiago (Great Santiago Tower), a part of the Costanera Centre complex, which is the highest building in Ibero-America. Some say that Cajón del Maipo, a canyon located in the Andean South-Eastern portion of the Santiago Metropolitan Region, resembles famous Patagonia in the South of Chile. 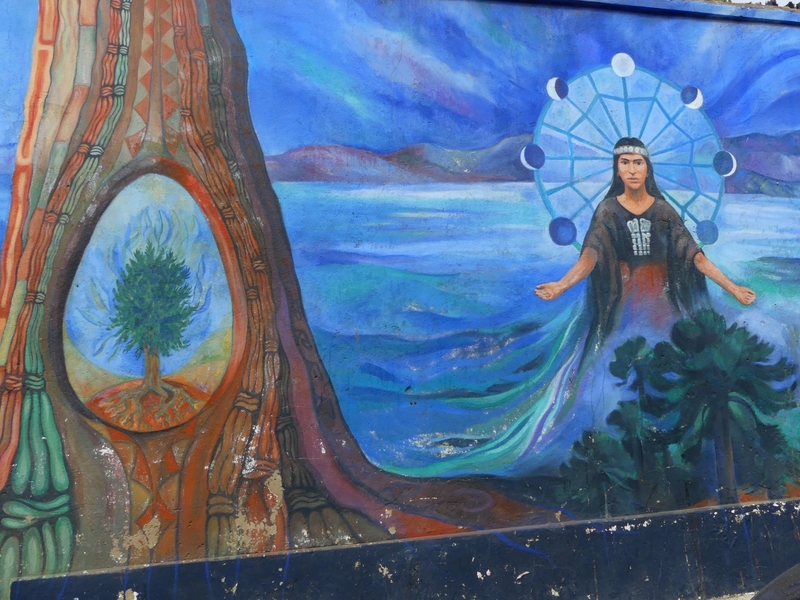 If you are not interested in going all the way down to the magical South (where the Mapuche communities are living and where the vibes sweep you off your feet) because you – for instance – don’t like it cold, you should try out Cajón del Maipo at least. It encompasses the upper Maipo River basin, where the river has entrenched itself in a narrow valley. The valley ends almost at the border with Argentina, where it is surrounded by some of the highest peaks in the region, including San José, Maipo, and Marmolejo. Several of the mountains are active volcanoes; San Jose was the most recent to erupt, in 1960. The canyon is a popular tourist destination for hikers and campers. Among the most visited sites are the reservoir Embalse El Yeso, and El Morado Natural Monument which contains the San Francisco glacier. 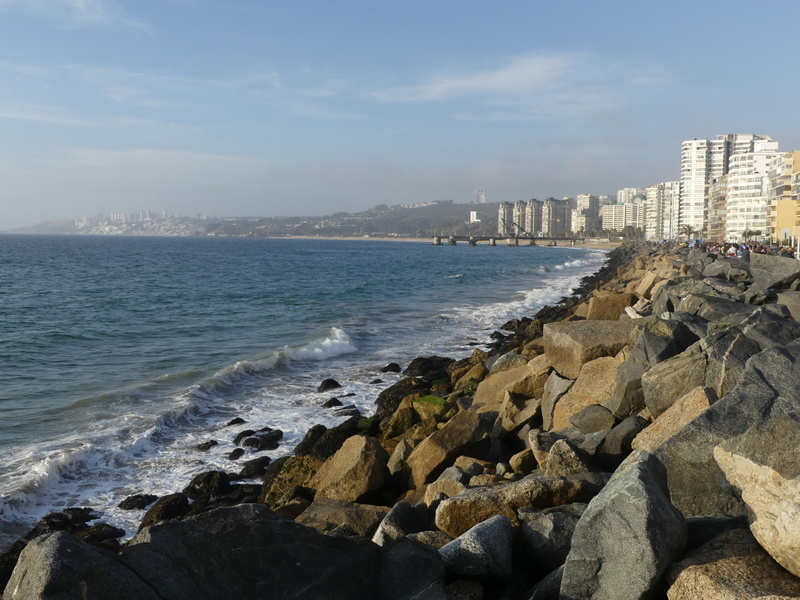 Valparaíso is located about 120 kilometres northwest of Santiago and you can easily get there by bus for circa 7000 Pesos. 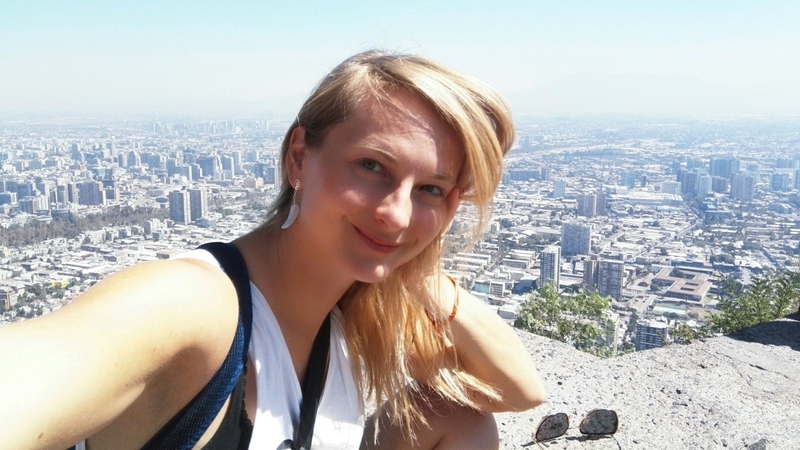 However, especially if you go on a Sunday, you want to be returning to Santiago at around 18:00 from the main bus station – otherwise you end up hunting a spare place on a bus for double the price. 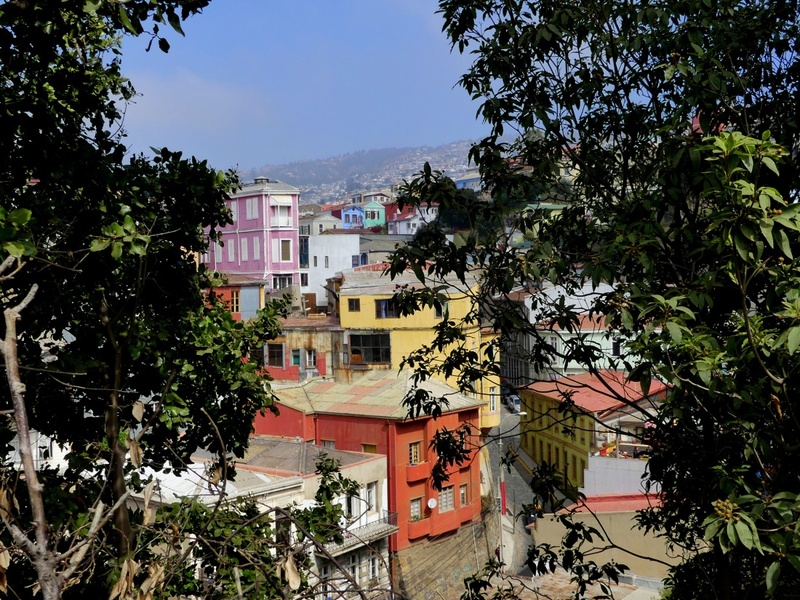 Valparaíso flourished during its golden age when the city was known by international sailors as “Little San Francisco“ and “The Jewel of the Pacific“. 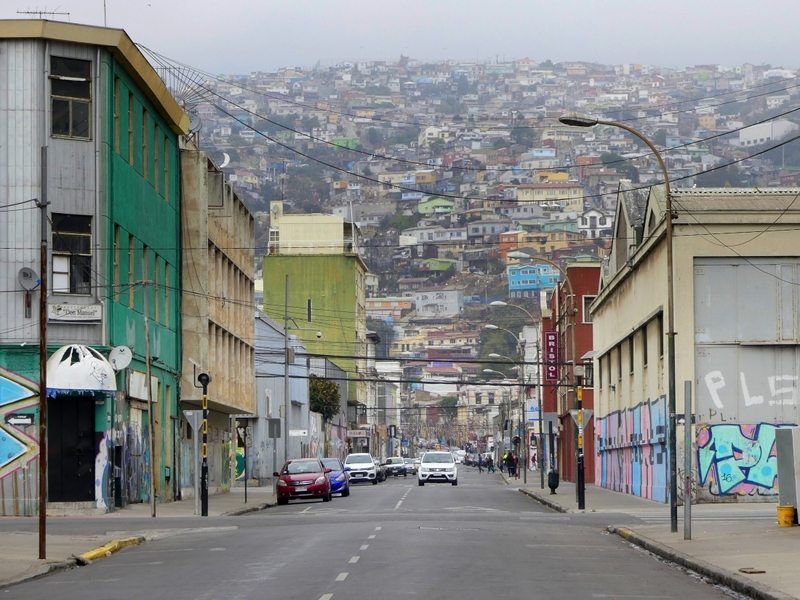 Thousands of tourists visit Valparaíso today to enjoy the city’s labyrinth of cobbled alleys, quaint colourful buildings and the streets laced with awesome graffiti art. In 2003, the historic quarter of Valparaíso was declared a United Nations Educational, Scientific, and Cultural Organization (UNESCO) World Heritage site. 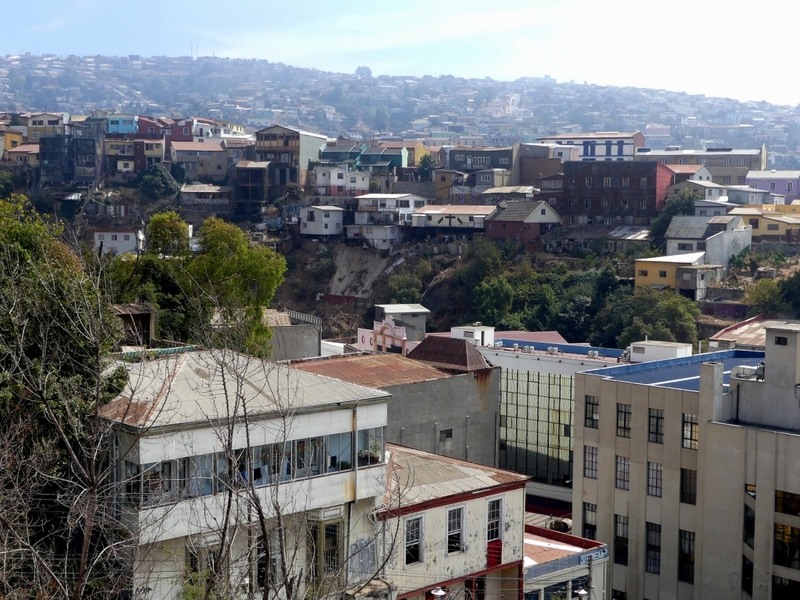 To enter the historic quarter you can either walk up El Peral hill or take the “ascensor El Peral”, a funicular located between two characteristic urban centres of Valparaíso: Plaza de la Justicia and Paseo Yugoslavo. The price is only 100 Pesos and once up, you gain a breathtaking view over the bay and the mountains. The top arrival station allows visitors to see the functioning machinery of the funicular which – at its own time – was extremely advanced. 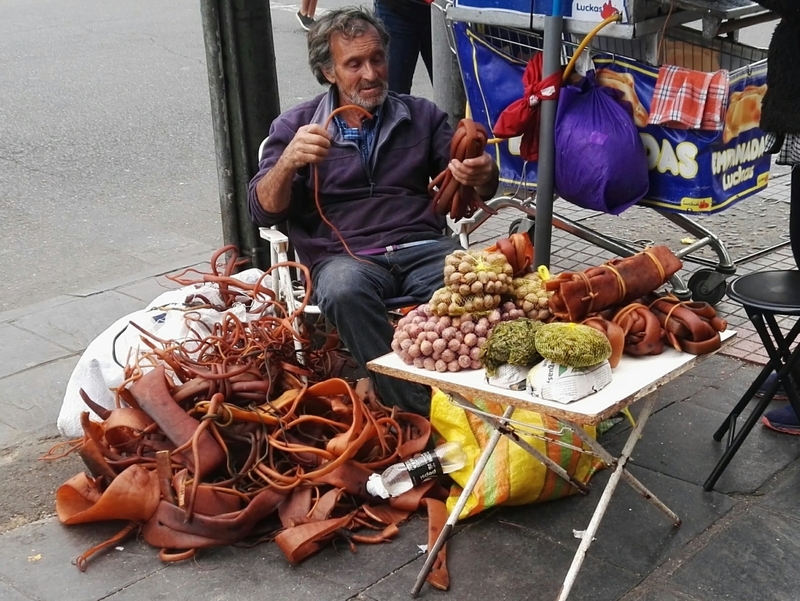 There are many cool cafés and shops in the quarter where you find products typical for the country, clothes from llama and alpaca wool, paintings with the Mapuche people and the machi female shamans often standing near the sacred tree of araucaria, charangos, shamanic drums, trompes, pan flutes and ocarinas. 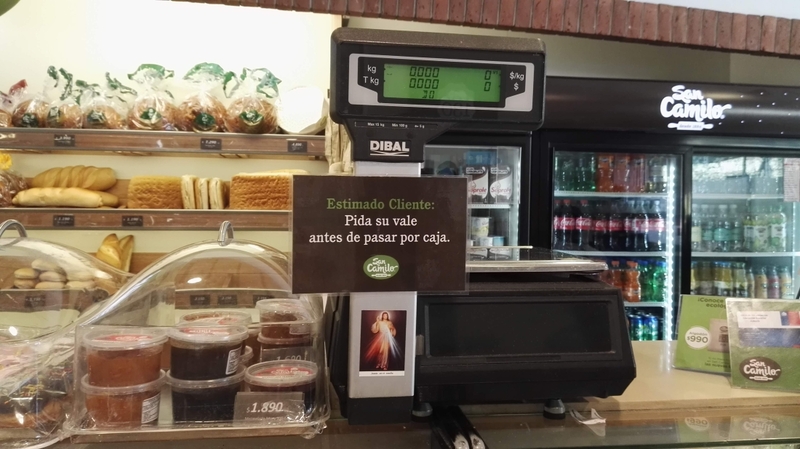 Trying out one of the local cafés, you may get a taste of some of the typical drinks and meals. Certainly give a go to Mote con Huesillo, whose history dates back to the colonial period. It quenches your thirst during the hot summer months and is pretty healthy, combining dried peaches with husked wheat as the name suggests. They are soaked with sugar water and cinnamon to make a sweet, non-alcoholic drink. 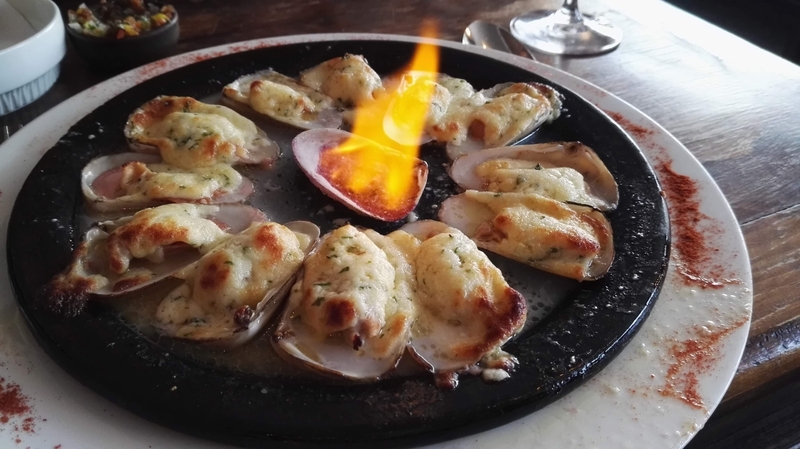 If you prefer alcoholic drinks, Pisco or Pisco Sour – Chile’s Famous Cocktail – could be your thing. Although Chile and Peru dispute the origins of Pisco Sour, the way each country makes it is quite different and worth exploring.